This past January several of the NBT team members and I met up for sun and camaraderie at the Flō Retreat Center, in Uvita, Costa Rica. Flō is run by strength coach, Ben House, PhD, who’s been on the podcast once before. Previously we talked about his work with clients and the effects of hormones on building strength and lean mass. It’s now a year later and we’re continuing the conversation. On this podcast, Ben is joined by myself, Dr. Tommy Wood, Megan Roberts, and Dr. Lindsay Taylor for a discussion of some of the practical and philosophical aspects of strength training and public health. Ben also shares his strategy for evaluating scientific literature and explains why everyone can benefit by building muscle. [00:00:00] Hikecast with Kim House. [00:00:07] Flō Retreat Center, Uvita, Costa Rica. [00:05:27] Indicators of longevity: grip strength, leg strength and muscle mass, VO2 max. [00:09:47] Fat free mass index (FFMI). [00:10:02] Muscle mass and mortality; Study: Abramowitz, Matthew K., et al. "Muscle mass, BMI, and mortality among adults in the United States: A population-based cohort study." PloS one 13.4 (2018): e0194697. [00:16:16] Working as a personal trainer. [00:17:56] Getting a PhD: Learning how to learn. [00:21:32] Glycogen shunt; Studies: Shulman, Robert G. "Glycogen turnover forms lactate during exercise." Exercise and sport sciences reviews 33.4 (2005): 157-162; and Shulman, R. G., and D. L. Rothman. "The “glycogen shunt” in exercising muscle: a role for glycogen in muscle energetics and fatigue." Proceedings of the National Academy of Sciences 98.2 (2001): 457-461. [00:24:47] Dr. Josh Turknett. Podcast: The Migraine Miracle. [00:25:22] Different types of cells identified in mouse brain; Study: Tasic, Bosiljka, et al. "Shared and distinct transcriptomic cell types across neocortical areas." Nature 563.7729 (2018): 72. [00:31:58] Keto not conducive to muscle gain in clinical trials; Studies: Vargas, Salvador, et al. "Efficacy of ketogenic diet on body composition during resistance training in trained men: a randomized controlled trial." Journal of the International Society of Sports Nutrition 15.1 (2018): 31. Additional studies showing loss of lean body mass on keto: 1, 2, 3, 4, 5, 6. [00:34:27] Solving nuanced health problems. [00:40:36] Books: The Power of Moments and Switch by Chip Heath and Dan Heath. [00:43:13] Is obesity solvable on a macro level? [00:50:34] Uncoupling proteins; Podcast: Mitochondria: More Than a Powerhouse, with Dr. Bryan Walsh. [00:52:00] Lindsay Taylor; Podcast: Brain Training for the Primal Keto Endurance Athlete. [01:03:24] Mike T Nelson; Podcast: How to Assess an Athlete: The Best Principles, Methods, and Devices to Use. [01:03:43] Retreats at the Flō Retreat Center. [01:06:52] Bro retreats; hypertrophy camps. 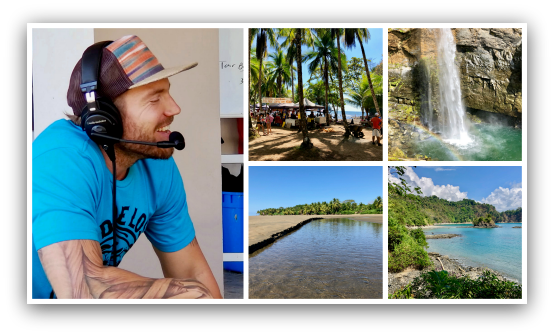 [01:08:35] 2019 Functional Medicine Costa Rica Retreat: Speakers include Bryan Walsh, Pat Davidson, Seth Oberst. [01:09:46] Zac Cupples; Course: Human Matrix. [01:10:07] Lucy Hendricks, Ryan L'Ecuyer. [01:13:16] 30 minutes 2x a week to get to a sufficient FFMI. [01:14:26] Mechanisms for increasing muscle mass: muscular tension and metabolic stress. [01:19:35] Zach Moore; Podcast: Overcoming Adversity and Strength Coaching. [01:19:48] Nourish Balance Thrive on Patreon. [01:26:47] Is the Flō Retreat Center replicable? [01:30:15] Ben’s Facebook page; Functional Medicine Costa Rica; broresearch.com; Email: drhouse@broresearch.com.